While on a mission to bring back his soul Spike runs into another man on a similar mission. 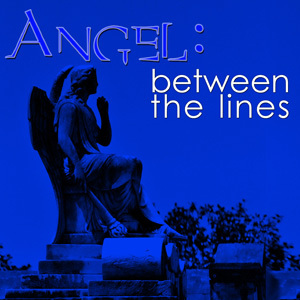 When I was given the assignment to tell you about the amazing sound affects department here at Angel Between The Lines, there was just one small problem. 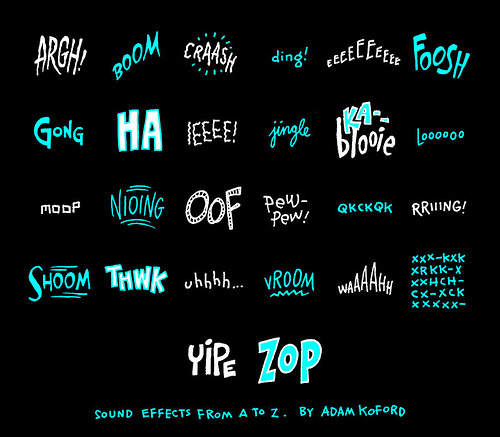 I had no clue how sound effects even worked! Well, after a few wonderful interviews, this rookie reporter was set straight. So, what’s the first step in creating sound effects? Well, it all starts with the scripts. People in the sound effects department read the script, where they are given certain scenes to work on. It is important that they read their scripts very carefully, so as to avoid mishaps such as using the sound effect for a woman’s high heels when a male character is walking. Then, they go to websites such as Soundsnap or Freesound Project to search for the sounds they need. Sometimes finding just the right sound effect can take quite awhile. For example, finding the sound of twilight can take some time as it is hard to distinguish between night and evening from an audio standpoint. Often creativity is needed in finding sound effects, as sometimes the desired sound can’t be found. Once the sound of a safe was needed and in this case, a clicking sound, the sound of a door opening, and some creaking was used. The editors then put these sounds together. On occasion sound effects don’t take long to find at all, even if they are unusual. Once, an episode of Buffy Between The Lines needed eerie flute music and even though the person searching for it thought it would take forever, It only took ten minutes. Sometimes sound effects can be found somewhere totally unexpected, such as an alligator sound found at the website for the U.S. Wildlife and Fish Fund. Finding all the sounds needed usually takes one or two hours, or a little longer if you’re just starting out. As you gain more experience, you learn how to phrase your searches and build up a library of clips for reuse, sometimes arranging all necessary conversions, like the ones from pdf to word. After all the sounds are found you also need to create a file detailing the creator of the sound effects, where it was found, the original filename, and the new filename [if it needed to be changed.] After doing all this, the sound clips still have to be uploaded to the FTP site. With two or three scenes an episode to provide sound effects for, this whole process can take up to approximately six hours. Besides finding sound effects, some members of the sound effects crew are also responsible for making their own sound effects. This is called foley. Foley is often done with a lot of improvisation, such as dragging a folder along your desk to make the sound of a clipboard hitting a counter. I hope this article has given you a better understanding and appreciation of what the amazing sound effects crew does to bring you the sounds that add so much to your favorite podcasts. I know this reporter will never listen to a podcast the same way again! ABtLS1Ep004 – Script for Geekgasm! After a couple months, the hotel and the leftover members of Angel Investigations are cash-strapped. A hero rides in with a quest to help save the gang from their financial woes. Only problem is, this quest might be a bit deadly.